Modebest is a leading UK Construction Company specialising in Groundworks, Reinforced Concrete Frames, Civil Engineering and Builders Work. We are an enterprising, inspiring and innovative company that offers the opportunity of more than a job – we offer a rewarding career in an upwardly mobile and exceptional company. 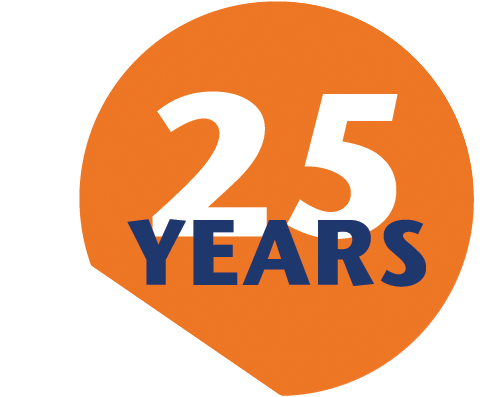 Our company is now an established 23 year old solid business with a well-known name which is synonymous with safety, quality, on-site performance and value-for-money on time project delivery. We are committed to increasing capability in our workforce and creating a safer industry. We are committed to a process of continuous measurable training for the development of our personnel as we recognise that the most important and valuable resource is our people. We will invest in the training of our people in order to ensure that they possess the skills, qualifications and experience to deliver a better product to match our client’s needs. We value our people, we actively encourage a work-life balance and we take great pride in assisting them to reach their full career potential. We offer apprenticeships and we sponsor graduates. We do business ethically and we treat our people with dignity and respect. We are committed to equal opportunity in all facets of our business. We embrace diversity and we promote equality of opportunity; these are embedded in our day to day working practices. We recognise the great benefits in having a diverse workforce with different backgrounds, solely based on ability. We are a company that our people are proud to work for. Come and join our Modebest team and you will find that it’s more than a just a job, it’s a career with a company that’s excelling in our specialist construction field. We will help you to maximise your true potential and build a rewarding career. What makes Modebest an attractive company to work for? We’re a large enough company to construct challenging major projects offering fantastic career opportunities but also small enough to have the ethos of a close knit team and to personally care about you. We expect you to have a positive attitude, be ambitious and be self-motivated with a willingness to work hard. In return, you’ll receive a competitive payment package with benefits and we’ll provide you with a career opportunity, training and work experience in a safe, friendly and exciting environment. We’ll provide you with a development programme that will help you realise your potential. We’ll also provide you with a designated mentor who will ease you into our team and ensure that you become familiar with our systems and practices. We’re an upwardly mobile company working on iconic buildings offering you enviable experience that will enhance your career. It will be a worthwhile start to your career to commence an apprenticeship with us. You will acquire unbeatable knowledge working alongside our experienced personnel. You will also gain a trade as well as earning a wage as you learn. We offer a limited amount of opportunities to GCSE students starting with summer holiday placements to fully funded day release placements on vocational or degree courses. You’ll gain invaluable experience in our office or on site working alongside our experienced staff on exciting, innovative projects. In addition we intake construction related graduate students from university degree courses and vocational college courses when we have a staff vacancy. We offer further educational support and career practical training. We believe in investing in the best talent who are up and coming in our industry. We will consider placement programmes for undergraduate construction students during your academic study years that will help you to develop key skills, gain experience and support you in pursuing your career in construction. This will comprise a short six week placement is order to give you a flavour of work experience or a longer six/twelve month placement which will give greater experience. Placement programmes will be done in agreement with your university/college and will suit your academic programme. Please submit your application and CV using the application form below. Please note that we may not be looking for operatives in your trade right now but we will store your details on our database for future reference when we will be recruiting. Simply browse through our available jobs advertised and then complete the information below. Submit this together with your uploaded CV. Alternatively you may email your information to info@modebest.co.uk for the attention of Recruitment. Due to the success of the company and our growth within the industry, we are now recruiting a Receptionist/General Administrator for our plant department based in Cranford TW5. Maintaining knowledge of equipment for hire/sale. We are interested in hearing from candidates who like working as part of a team. The ideal candidate will be organised, presentable and demonstrate strong communication skills. Experience within the construction sector is preferred but not essential. Successful candidates will be invited for interview. Modebest Technical Ltd. is an established construction company based in Northolt, Middlesex. We have a large number of projects around London and the surrounding counties including Surrey, Bedfordshire, Kent and Sussex. These projects range from RC Frames to External Works, Groundworks and Drainage to Temporary Works.